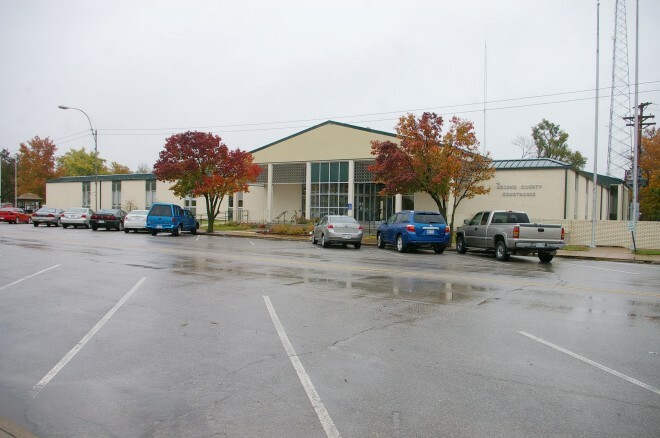 Neosho County is named for the Neosho River which name is derived from the Osage Indian word “ne-o-sho” or “ne-u-zhu” meaning “clear water”. 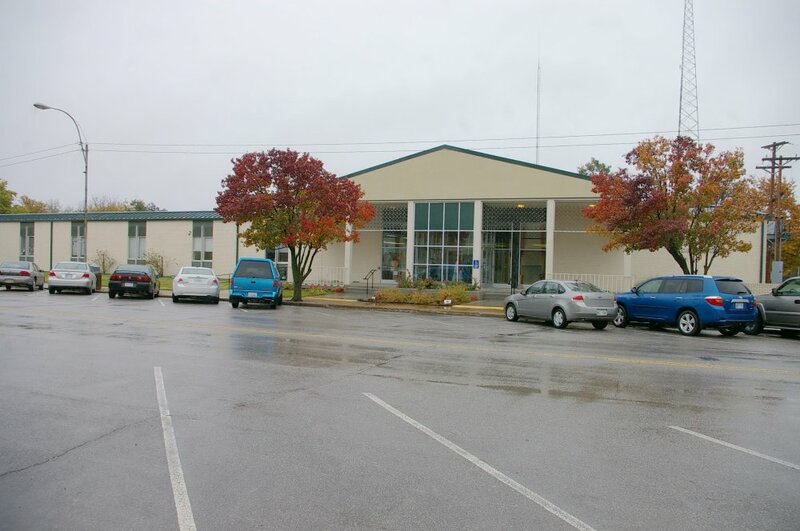 Description: The building faces west and is a one story cream colored brick, glass and concrete structure. The west front has a high peaked section towards the south, with six pillars supporting an overhang with glass entrance. 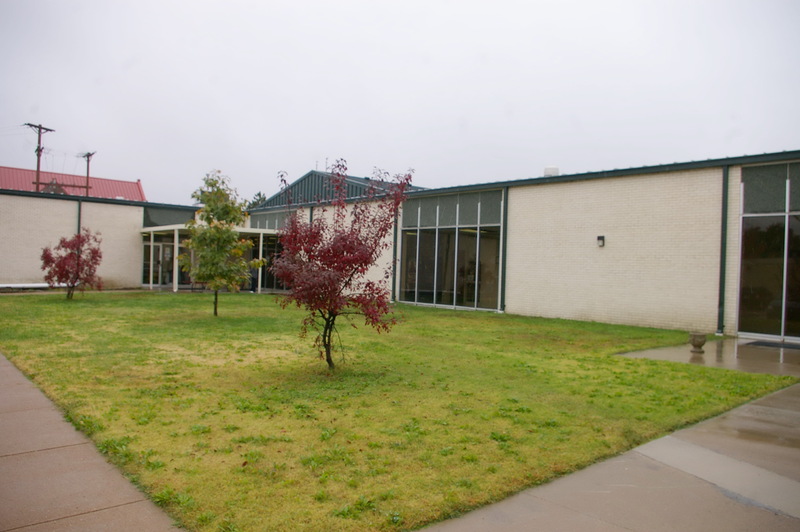 The section to the north has narrow vertical windows. There is another entrance on the north side. 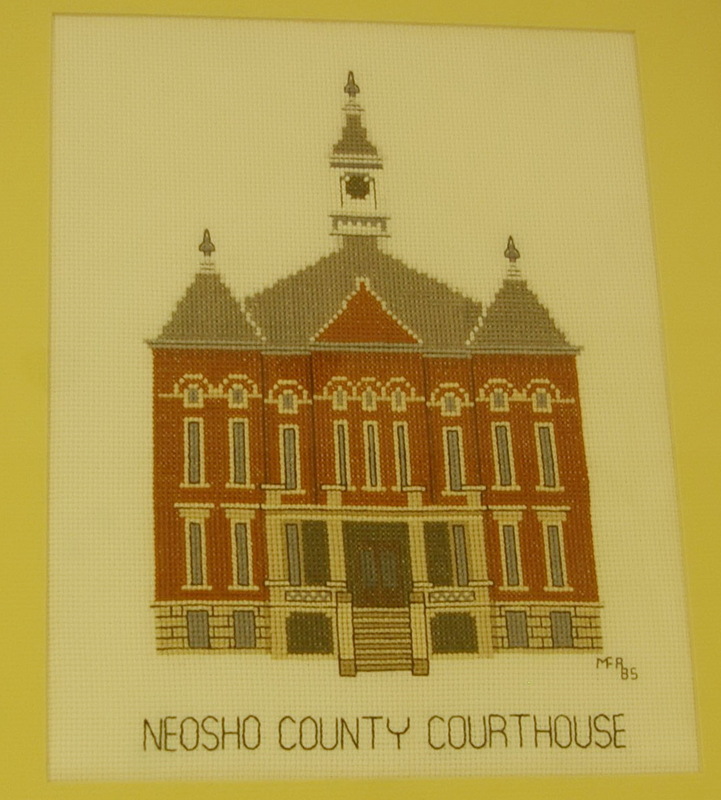 Note: The previous courthouse was designed by George P Washburn & Son and constructed by Dannelly & Halfin in 1904. 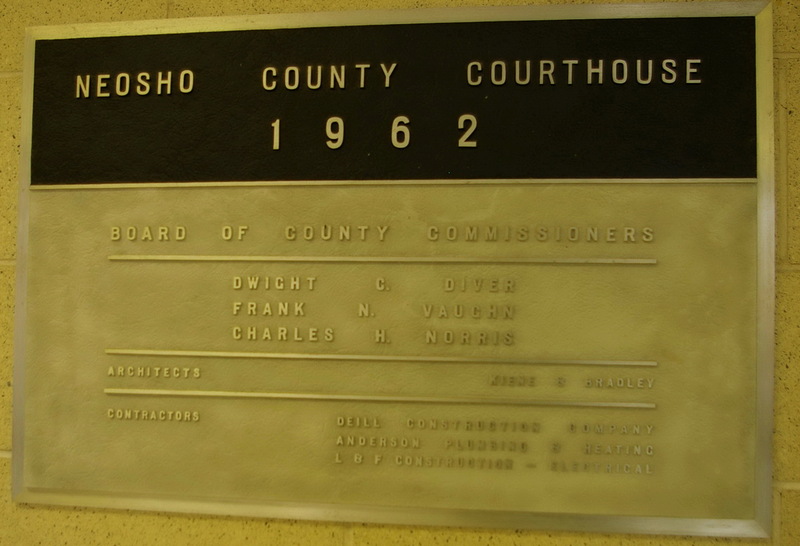 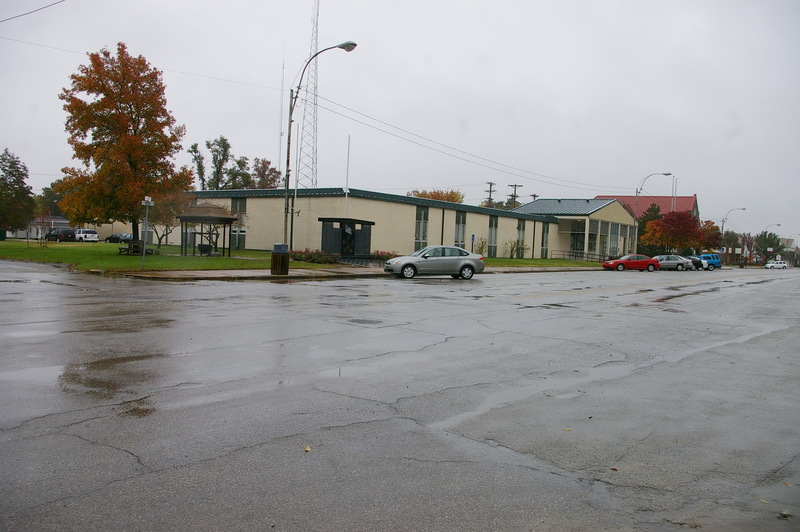 The building was demolished after the present courthouse was completed. 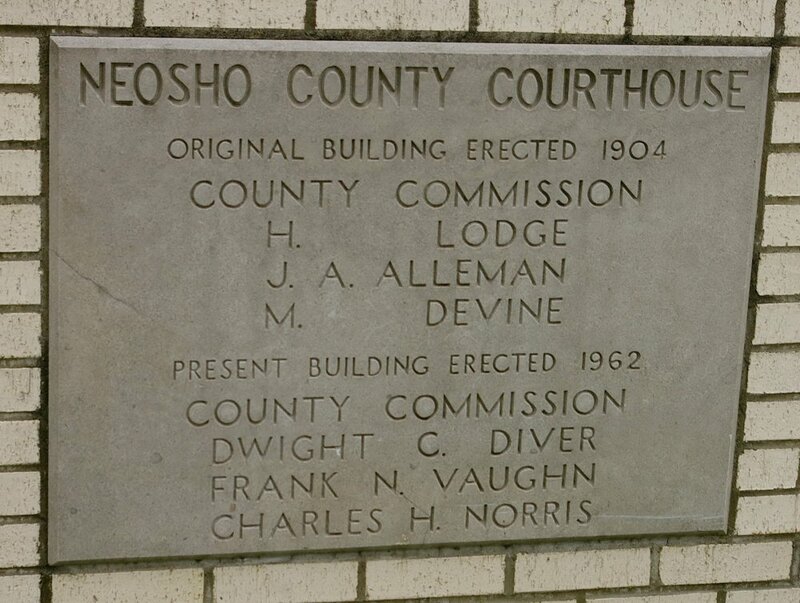 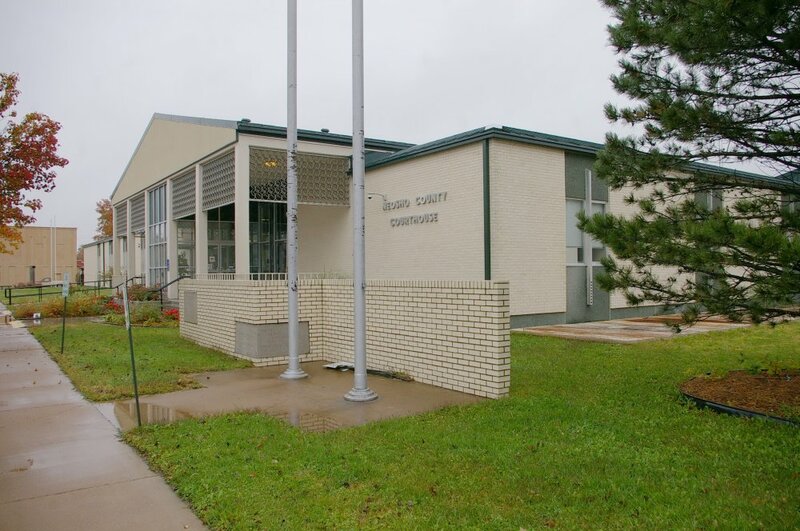 See: The architect, Kiene & Bradley Architects of Topeka, designed courthouses in Coffey County, Greeley County, Jefferson County, Logan County, Morris County and Wilson County.